Please note: There is no Sunday service on Bank Holiday week-ends. McConnon's Buses serve most major Hospitals and Colleges in Dublin. Our routes cover north side, city centre and south side to deliver you to - or close to - your destination. 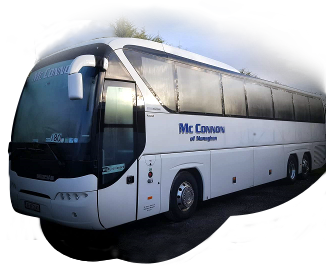 Luxury coaches available for private hire. Please contact us for more information.